Wishing everyone a very Happy New Year! Since you are reading this blog I can safely assume that either you are already eating healthy or aim to do so. Trust me this is the most critical step anyone can take to avoid the chronic lifestyle diseases that have become so rampant in our society. Just by being mindful of what you put in your body can make a huge difference! Try to eat real food and minimize the processed foods. One of the main things that one can do is to lower the amount of sugar we eat. 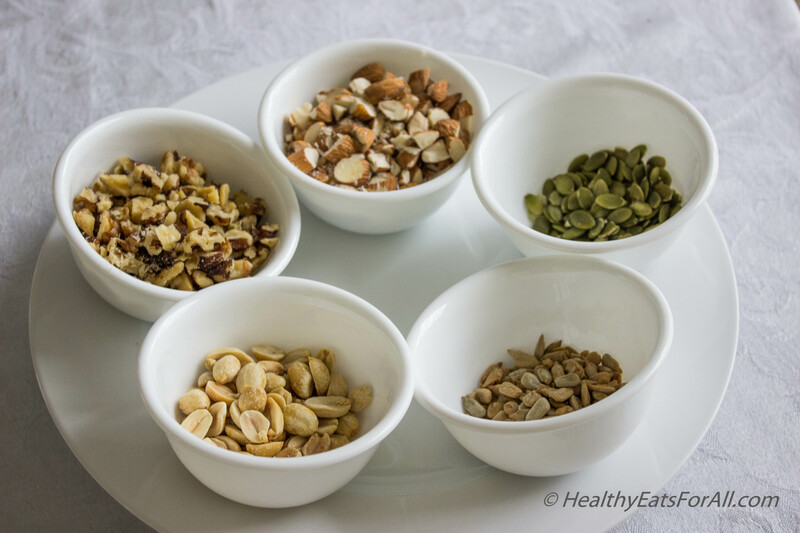 A great place for healthy snacking ideas is Nuts.com. 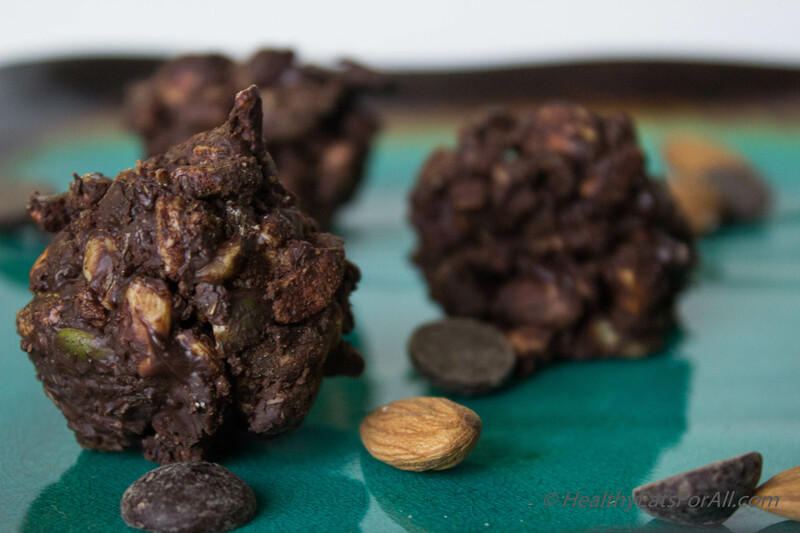 After looking at the recipes on their page, this seemed like an excellent opportunity to share a recipe with my readers on which I had already been working. 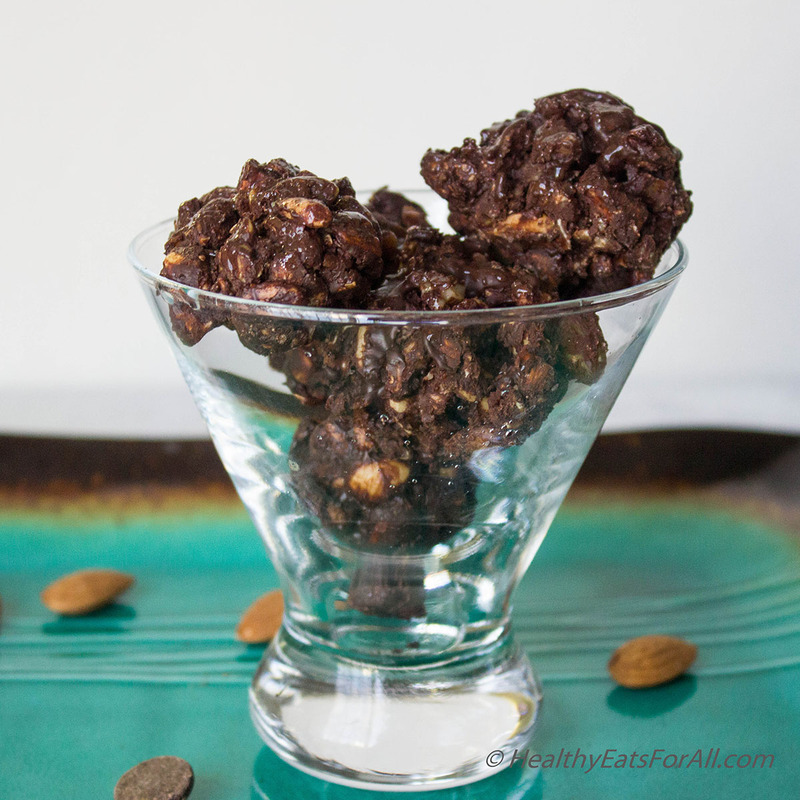 Chocolate Nut Clusters sound so sweet and decadent! 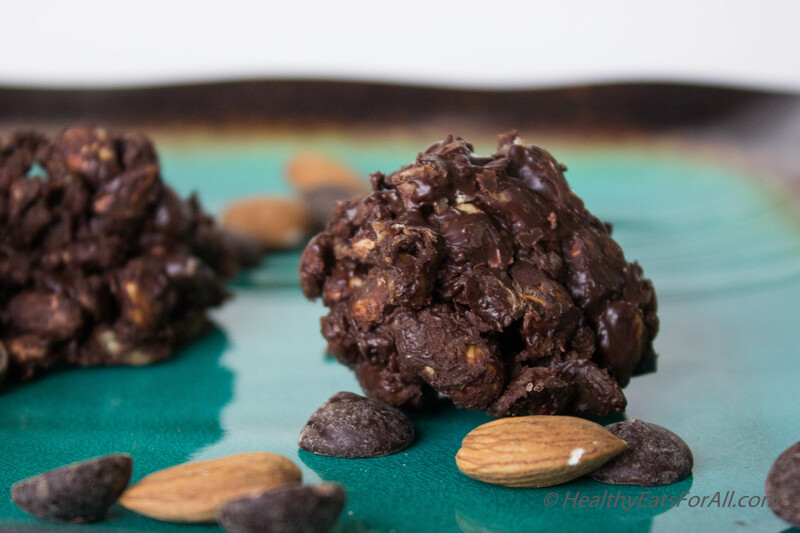 Yet this recipe does not have any added sugar or fat at all! All it has are good for you nuts, seeds and some real good quality 60% cacao bittersweet chocolate. I have added rice krispies to give a crunch factor but it’s totally optional. 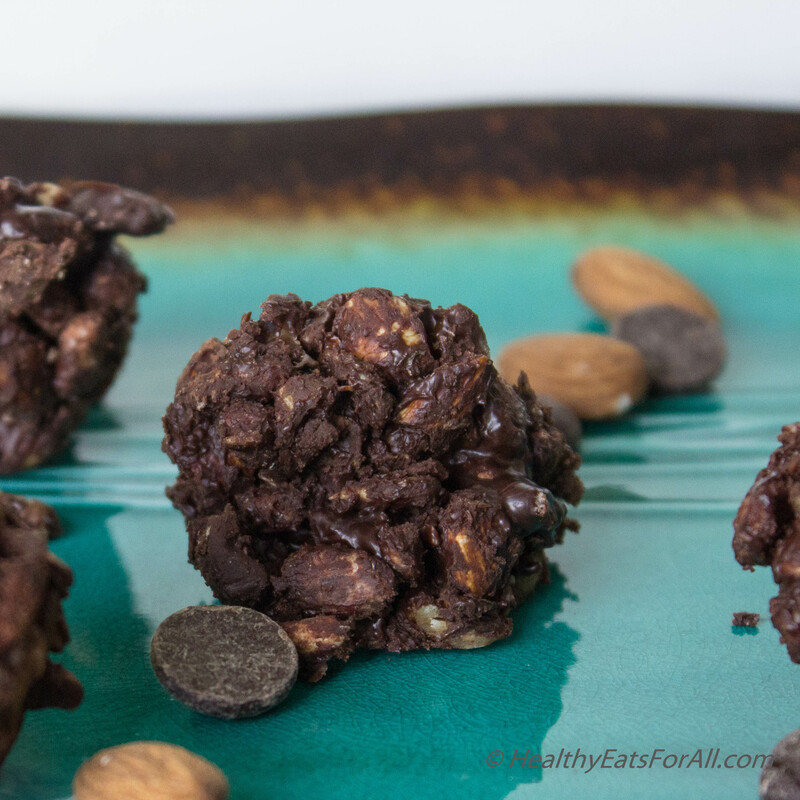 These nut clusters are not only great for dessert but are also fantastic as mid day snacks and energy bites after working out! 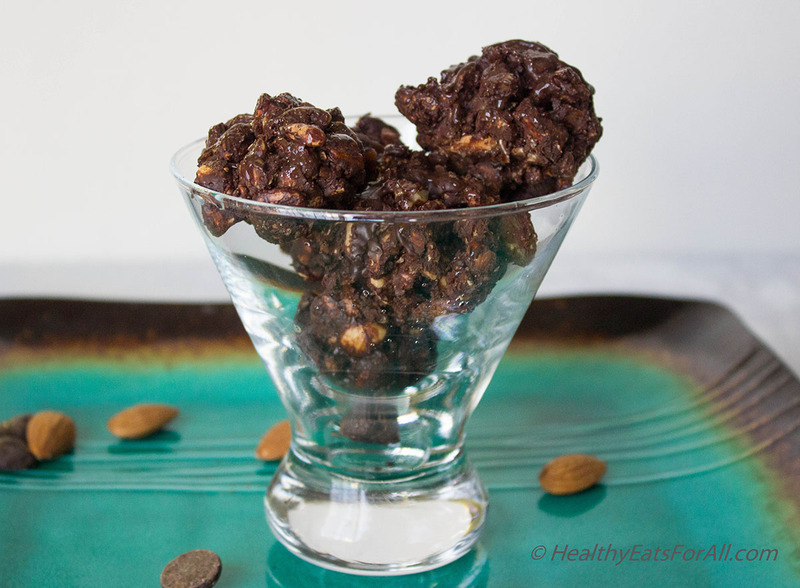 The reason it took me a while to get this recipe out was that I was just melting the chocolate initially and mixing with the nuts. I would make the scoops and set them in the freezer. But I would find that at room temperature they would not be firm and the chocolate would melt, so the nuts would sort of crumble. When I did that, the results were absolutely amazing! Now the clusters I had looked just professional. So make sure you follow the exact steps of the recipe. If you already know how to temper chocolate unlike me, I guess you are all set! 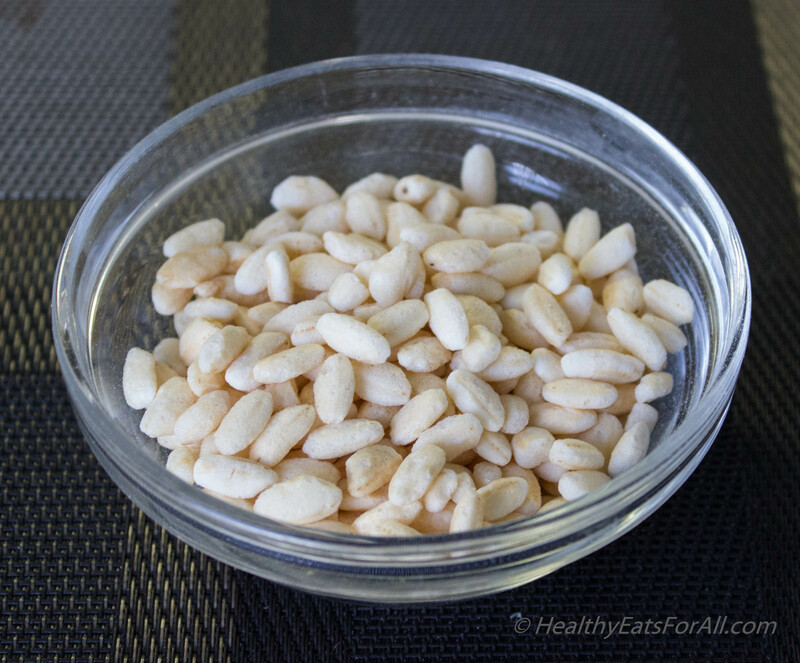 In this recipe I have used mostly raw nuts but in case you prefer, you can roast them in the oven for a few minutes. 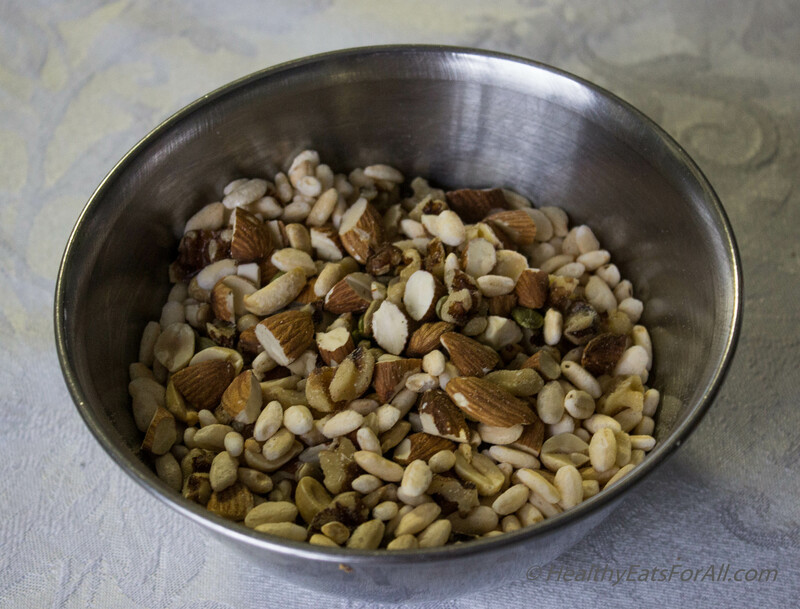 Add all the nuts, salt and rice krispies to a bowl and mix. The next step is to temper the chocolate. So it’s important to follow the exact steps to get the right consistency of the chocolate when it firms up. 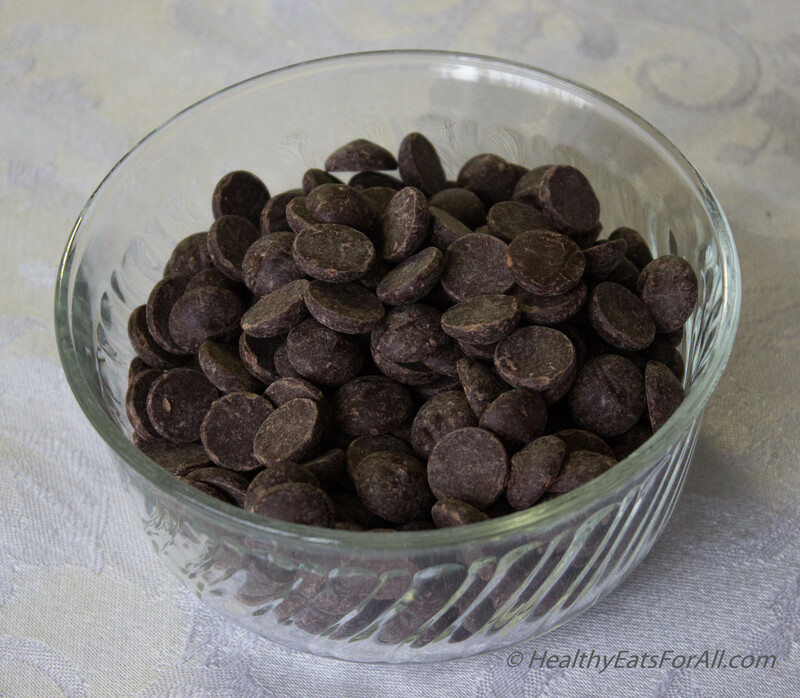 Take 1 ¾ cups of the chocolate chips and put in a glass/ceramic bowl and microwave for 30 seconds. Then stir well. Then microwave for another 30 seconds and stir well. Then microwave for 20 seconds and stir well. Add the remaining ¼ cup chocolate chips and stir really well. Make sure there are absolutely no lumps. Once all the chocolate has melted and there are no lumps it’s important to move quickly. 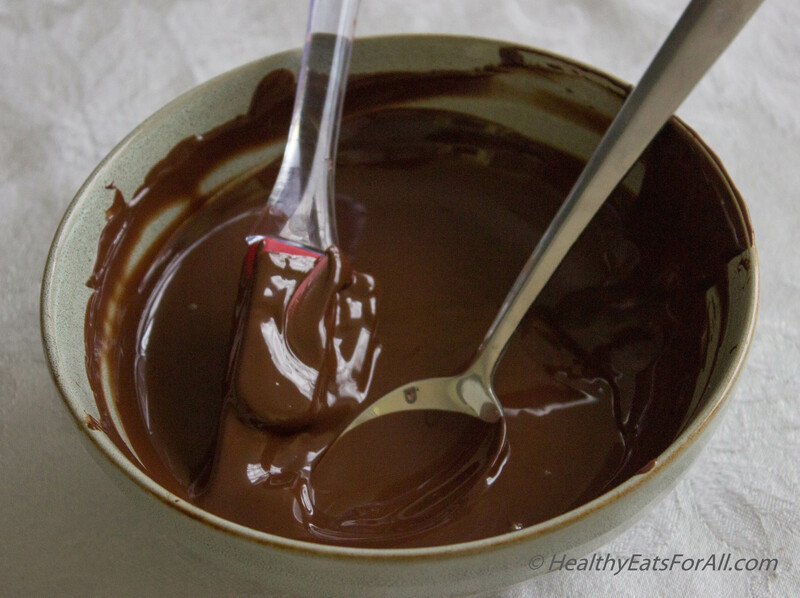 Add the nuts mix to the melted chocolate and stir so that everything is well coated with the chocolate. 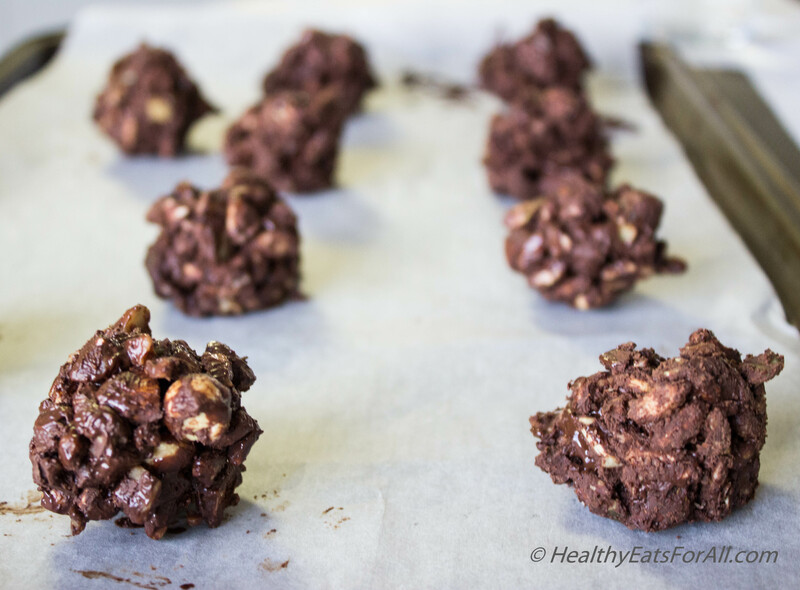 Then using a cookie/ice-cream scooper, scoop the chocolate covered nuts on to a parchment covered tray. You can press the nut scoops with hands to give firm shape also. Then keep the tray in the freezer for 15-20 minutes or till set.